Leaks are seemingly inevitable for smartphone makers these days. The OnePlus 5T, the successor to the OnePlus 5, is no exception to this rule. Last week, we witnessed leaked photos showing off the 5T's rumored "edge-to-edge" display. Today, leaks on OppoMart's 5T preorder page give us specs in addition to images. A 6-inch full HD (1080 x 2160) screen with an 18:9 aspect ratio. Qualcomm Snapdragon 835 quad-core processor, with speeds up to 2.45GHz. For all of the gritty details, including release dates, pricing speculation, and an expanded spec sheet, make sure to hit up our full OnePlus 5T rumor roundup below. The largest change from last year's OnePlus 5 is clearly that display, which, besides its "bezel-less" design, improves upon the 5's 1080p screen resolution by upping the vertical pixel count from 1920 to 2160. However, most other specs appear to stay close to the 5. The new display size seems more likely than ever, as an update from Venture Beat reporter Evan Blass asserts that the 5T will have an 18:9 display. While Blass doesn't name his source, Blass says he considers the source reliable. We'll just have to take his word as another piece of potential evidence until the official 5T reveal. This isn't the first time OppoMart has spilled the beans on OnePlus devices. The OnePlus 2, 3, 3T, 5, and X were all leaked on OppoMart before they were announced. It's worth noting those leaks were not 100% correct — each leak got something wrong from the final design. 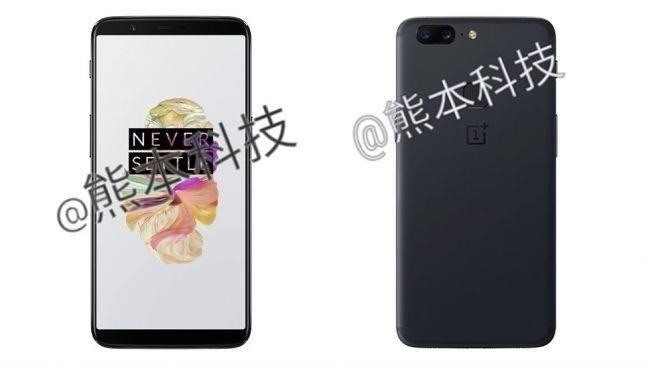 For example, the OnePlus 5 leak claimed the phone would come with a Quad HD display, as well as a 12 MP camera. Both of these specs turned out to be incorrect. With this history in mind, we should take this leak from OppoMart with a grain of salt. However, it will be interesting to see how much of this information is accurate when the 5T is officially announced.